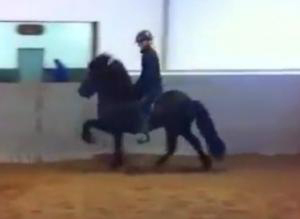 THE PROMISING DÓMHILDUR The Álfur daughter Dómhildur, is a 4 year old mare that is being trained by Viðja. Our farm manager, Karl Áki, went to check on her. 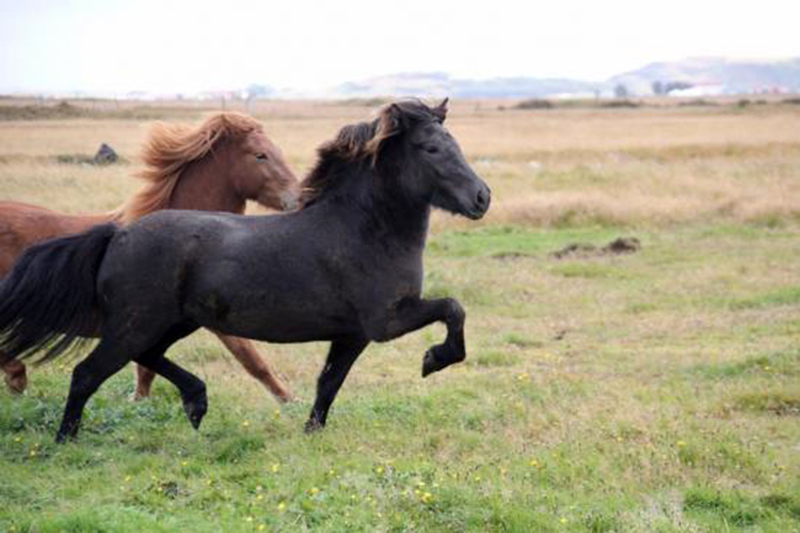 We have a good feeling about this mare, and so does Viðja. She is powerful, lot of willingness and speed, not to mention the high leg action. Dómhildur í september 2011, feit og pattaraleg eftir sumarið, á leið í frumtamningu. Álfsdóttirin Dómhildur 4ja vetra er í þjálfun hjá Viðju í Langholti. Bústjórinn, Karl Áki, fór á dögunum tók hana út fyrir okkur. Okkur líst vel á hana, Viðja heldur upp á hana, enda kraftmikil hryssa, rúm og hágeng.